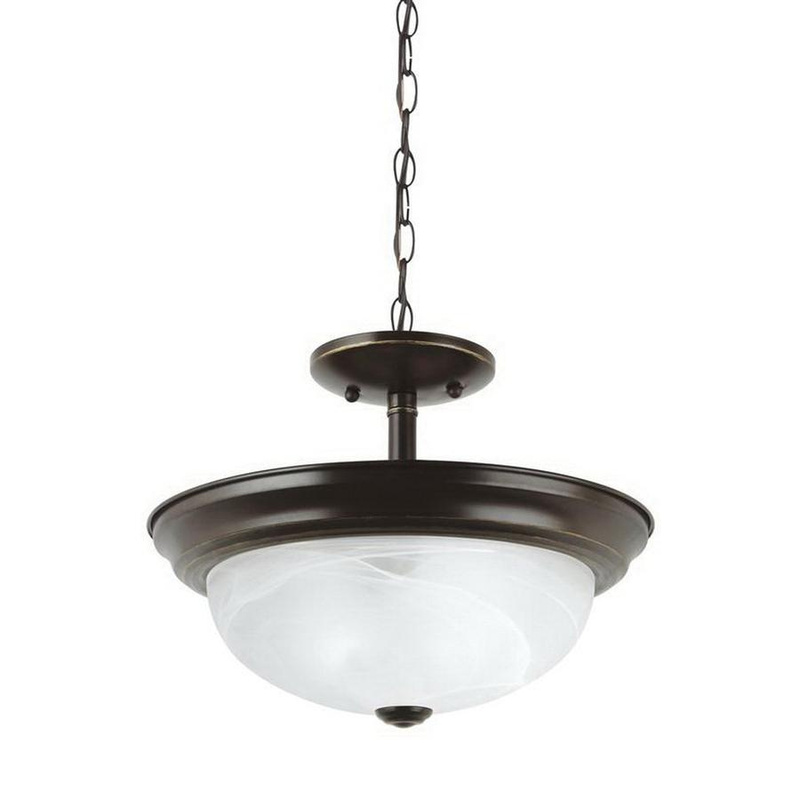 Sea Gull Lighting Windgate Collection 2-Light convertible pendant fixture in heirloom bronze finish, features steel construction. Alabaster glass shade measuring 9-29/32-Inch Dia x 3-5/16-Inch, brings elegance to the home. Fixture supports two 100-Watt A-19 incandescent lamps that have voltage rating of 120-Volts. Fixture measures 13-Inch Dia x 11-Inch x 48-3/4-Inch. This 36-Inch chain/stem helps to hang this fixture. Semi-flush/center lockup mountable fixture comes with 96-Inch lead wire for hassle-free installation. Fixture is Safety listed for dry locations and Title 24 compliant.